There is no substitute for high quality, appropriate and professionally installed security measures to protect your home against intruders. But what more can be done to prevent burglars helping themselves to your valuables? And if they do manage to get away with any of your prized possessions, are there any measures that can be put in place to help you get reunited with your property? In this post we’re looking at the benefits of marking and registering valuable, coveted possessions as well as providing advice and useful resources to help you do so. Marked property is far less attractive to thieves. Use a police approved forensic marking solution such as SmartWater. This is a marker that is only visible under Ultraviolet light. Apply it to bicycles, jewellery, electrical items, tech, smartphones, power tools and anything else of financial or sentimental value. One bottle of SmartWater liquid will mark around 50 items. All you need to do is dab a small amount on each item and it will last for up to five years. Unlike with UV pens where you have to write your postcode or address on the item, SmartWater has a unique forensic code that is registered to your address, allowing the police to trace any recovered property back to you. MetTrace is a Metropolitan Police scheme designed to help householders to make their homes more secure by offering crime prevention advice and free SmartWater forensic marking kits. To learn more and find out whether you are eligible for a free pack, or to discover other ways of getting hold of a SmartWater kit, visit the MetTrace website. Once you have marked your property, be sure to make it clear that you have done so. Use window stickers and signage to communicate the fact that your valuables are traceable. It really is one of the best deterrents. As well as taking photographs of your valuables and keeping receipts so you can prove ownership and help the police return any recovered items back to you in the event of them being stolen, there are other, more official ways to register your property. Immobilise is a free database designed to help the police identify owners of recovered property. It is used thousands of times every day. The system works to combat the sale of stolen valuables and alerts the second-hand trade and publicly checkable stolen goods database if an item goes missing. 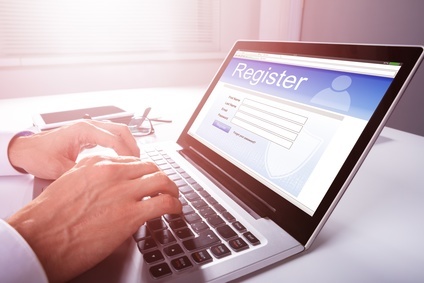 Registering items on Immobilise makes insurance claims more straightforward. It is an accredited property database that currently has over 34 million items registered. If you have a bicycle that you value, you can register it at BikeRegister. Simply add the details of your bike to the national police-approved database for free; mark and protect your bike with one of the security marking kits available from the website, then apply a warning label to reduce your risk of theft by warning thieves that you use BikeRegister. This is a great deterrent. If you are a collector of art, antiques or collectables then you should familiarise yourself with the Art Loss Register. This is the world’s largest private database of lost and stolen art, antiques and collectables. It offers services to collectors, the art trade, insurance providers and law enforcement agencies including item registration, search and recovery services. The register acts as a deterrent to art thieves and has been instrumental in the recovery of hundreds of millions of pounds worth of stolen valuables worldwide. Remember, any security measures you invest in should always be tailored to your particular property and its individual level of risk. For security advice that is unique to your needs, talk to Barry Bros Security: trusted, accredited security specialists trading for more than 60 years.